You and you alone bring out the gipsy in me. Come to papa — come to papa — do! It’s not so much a consonant rhyme as it is just ending each verse with the same word. The great thing is that the whole accentuation is set up so that the biggest accent falls four syllables before the end of the verse, which is quite uncommon. The rhyming scheme is arranged so that not only the last syllable matches up but, almost every time, the last four syllables rhyme. The melodic line is also pretty unconventional. Almost every time, it’s a small scale that rises, followed by a big (even dissonant) downward leap; first it’s a fifth and before the repeat, it’s an octave leap. This strange downward leap at the end of every verse keeps delaying the resolution, which makes the rising half step in the final two notes all the sweeter. The upward scale starts on the sixth, something that gives it a very jazzy feel and later became usual in many jazz standards. Three notes ascending scalewise over a I-vii7/V7-V7 (GM7-C#dim7-D7) progression. The melody is also a bit lopsided, in every verse the last word (“you” and “me”) get’s its own beautiful, very long note. Harmonically it has a very basic structure: I-V-I (GM7-D7-GM7) with a short section (just one look at you my heart grew tipsy in me) with the vi (Em) which repeats to the beginning. We get a big sub-dominant (CM7) before the ending (Don’t be naughty…) which, as usual for the IV, is pretty well suited for a fermata, and at the very end we get the sequence I7(V7/IV)-iv-V7-I (G7-Cm7-D7-GM7). What I love about these last four chords is the way they build up on the sub-dominant from before, taking that CM7 and instead of resolving giving it its own dominant and turning it into a minor IV right on the accent of the last verse (on “embraceable”), which adds a bit of wistfulness and sadness to the very end. The beauty of this tune, and its curse for many amateur performers, is that Gershwin fills it with embellishing chords. The very basic I-V-I is very highly ornamented and in some cases, some of the chords are substituted for others. Because of the very basic harmonic structure and the lopsided way the melodic line is built, this piece is very suited for long freestyle improvisations and rearrangements. In some cases, like in the version by the Bill Evans Trio or by Wynton Marsalis, it’s nothing but one huge improvisation. One of my favorite versions of Embraceable You is the piano etude by Earl Wild. What’s great about playing it is the way the technique matches up with the music. He adds a ton of arpeggios all around the melody, so all those circular movements with very little finger action almost make it feel as if you are embracing the piano. The Universal Mind of Bill Evans. Every musician should learn jazz. As most musicians today understand it, jazz is a musical style. That is not wrong, but it’s not really the most important thing because jazz is also a process. It’s the process of making music in the moment, an essential skill that was mostly lost in classical music towards the end of the nineteenth century. A long time ago, musical notation was developed out of the necessity to make a piece of music permanent. Without recording technology, it was necessary to write the music down if it was to be played more than once. Music, up to the end of the eighteenth century, was improvisatory in a very high degree. Even in the romantic period, there was still a great deal of improvisation serving as the basis for concert music. Musical notation allowed composers to write works of increasing complexity, to the degree where a composer could take months to write a single minute of music. It also marked a new division between composer and interpreter. Today we have composers that can’t play a single note of music on any instrument; some of the really bad ones are also practically tone-deaf. There are also interpreters out there that can’t pick out a melody on their instrument, let alone deviate from their precious score– even when the musical style demands it! The necessity for the ability to improvise goes beyond being able to pluck out a cadenza in a classical work or playing a jazz standard by ear, it affects everything we do as musicians. It affects our interpretation. When we hear or play a piece, being able to follow along with the “jazz process” of the composer is something that gives us depth and insight. It gives an interpreter the ability to see what a composer didn’t write and what he could have written instead of what is on the page. This ability also allows to understand the “why” and the “how” better. I’ve been to too many classes where the lesson the teacher is able to give with his limited insight does not go beyond correcting the note values and marking the tempo by clapping along. There is no talk about the musical process the composer followed and there is no deeper meaning to what is being done. Too many musicians go through their whole careers thinking that an interpreters job is just counting , measuring and following along with what is written like a good little bureaucrat. Being able to improvise also affects the way we teach and learn. I believe that the best way to learn is by playing around. In many languages, the word for playing an instrument and the word for playing with a toy is the same. I have found that the best way to teach a child is through improvisation. By letting them write their own songs and trying out alternatives to what is written down. In the same way, good practice is really the process of teaching ourselves. In that sense, one of the best ways of learning is by making variations on the music and playing the things that are not there. Most important of all, the jazz process allows us to be real with what we play. Particularly with the piano, it is easy to play a note without feeling it, without thinking it. You drop the finger, and the instrument makes noise. You could just as well have hit the piano with a pencil, or thrown something at the keys. It is absolutely essential to listen in your mind to every thing you play or it isn’t real. This is more apparent when making jazz. It is easy to play scales up and down, or have a few formulas that sound good almost anywhere, without really feeling the different harmonies or thinking out the melody that you are improvising. The sense of actually doing what you are singing in your mind is quite hard to do, but being honest and real with your playing really makes a difference in the end result and in what you, as an interpreter, get out of your music. For the love of God, learn another trick! When re-harmonizing a melody, one of the oldest tricks in the book is substituting the dominant (usually V7) with a major chord a diminished fifth above it. It is usually the last trick a jazz pianist is taught, for a very specific reason. It is so easy to do, and so effective, that many pianists out there don’t learn anything else. The problem is that after hearing it so much, it just screams of cheese. I think it actually catches me more by surprise when a pianist uses a regular V7 instead of the tritone substitution. When playing a melodic solo, one of the oldest tricks in the book is playing a whole tone scale on top of the dominant chord. It kind of turns the dominant into a V7 with an augmented fifth. It is also the only thing about harmony that many mediocre horn players bother to learn. For the love of God, learn some new tricks. You can substitute every single chord in a progression with its “ii-V-I”. That leads to the typical I-iii-VI-ii-V-I progression in which all you are really doing is branching the “ii” into it’s “ii-V-I” (which in the original key would be “iii-VI-ii”). Once you do that, you can use tritone substitution on that “VI”, since it is actually working as a dominant for the “ii”. There are so many possibilities in jazz harmony, that it really sounds lazy and cheap hearing the same stupid substitution over and over again. The circle of fifths is your friend when trying out new harmonic progressions. Just give it a spin through the whole circle. When you play something in more than one key, you are learning the idea behind the harmonic progression, not the actual chords. That is very useful for classical pianists too. Transposition is a huge aid to memorization, it helps you understand what is going on. You learn the actual functions of the chords, and not the notes in themselves. As a jazz musician, it is very easy to get bogged down repeating over and over the same cute tricks without realizing that you are doing it. Mastering new harmonic progressions or solo patterns seems like forced labor, but what it actually gives you is freedom. Freedom from the cage of cliches into which you force yourself because of ignorance. The circle of fifths is your friend. Also beware of signature chords, usually dissonant, and usually way overused. They are sometimes cool, but lots of pianists tend to find a chord or a run they can play comfortably and shoe-horn it into everything they play. It’s the same case with the trumpet player who just realized he can hit a high-E and even give it a nice shake. He will play anything, even a slow ballad, and force the damn thing in there so everyone can see his nice new trick. The music turns into a succession of cute tricks, instead of an actual artistic enterprise. To open your harmonic horizons, analysis of jazz standards and Gershwin songs is a must. I also really recommend listening to and playing a lot of Bill Evans. He will either use quartal harmony, or he will use really normal triads, but in very intelligent and interesting ways that show you all the possibilities in simple three-part harmony. Something classic like Waltz for Debby uses harmony that is very simple on the surface, but treated in a way many jazz pianists avoid, almost as if it were something from Chopin or Schubert; and it will sound really awesome too. And unlike many jazz pianists, the man had a beautiful round tone as well. I would kill to have that piano sound for Chopin, Grieg or Mozart. Miles Davis said it best. Bill played the piano the way it should be played. How do you describe a truly great performance? There is something there that defies explanation; it just is. John Coltrane was an amazing musician. One of my teachers had a saying about Liszt and Schubert. Something hard to translate about Liszt taking the listener up to paradise with his music and Schubert making that paradise here on Earth. 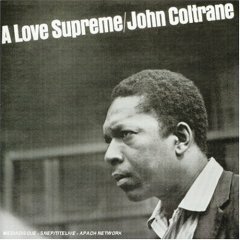 In a Love Supreme, Coltrane takes us up into the stratosphere on a staircase made of sixteenth notes. One can get lost completely just getting carried away with the waves of harmony from McCoy Tyner and the ever changing rhythmic background created by Elvin Jones and Jimmy Garrison. On the endless walls of sound that Coltrane produces, the mantric nature of the theme, always developing always changing. For a trained musician, the effect this music has is huge. Coltrane was a genius, hundreds of amazing modulations in every solo; he does things with whole-tone scales that I had never dreamed were possible. The relationships he finds between keys are always fresh and completely groundbreaking. At the end of Acknowledgment, when they start chanting “A Love Supreme, A Love Supreme” it is a release, it is as if that is the only outlet left for what he is saying after everything he has played before it. One of the things that strikes me the most about Coltrane, was his involvement with the music. He almost stands completely still while he plays, with an intense look of concentration on his face. Few things bother me more than those sax players out there who are sweating rivers while they play, swinging their instrument up and down and all around, screaming and doing all kinds of silly crap, blowing out their cheeks and with their eyes ready to pop; only to have a mediocre uninspired musical result. Coltrane, even in his completely dissonant period (with things like Jupiter and Leo) is always amazingly interesting to listen to. You can just sit back and let the music carry you away, or you can perk up your ears and try to catch everything he is doing; either way, it is a trip to another universe, a glimpse of a whole other world of his own making. A Love Supreme is a miracle in its own right, something holy. It inspires the listener with Coltrane’s faith and belief in God’s supreme love in the same way as Bach in the St. Matthew Passion. He was one of those musical greats that stands alone. A Love Supreme has done more to make us feel what faith and belief in God’s love are like than many actual clergy members out there. He was just a man, although many claim him a saint; but he brings out the best of music, shows us what “just a man” is capable of with practice, dedication and playing with complete honesty from the heart. The complete video of his only live performance of A Love Supreme –July 26, 1965 in Antibes- is lost. Only little snippets of home videos remain. If this video surfaced, I am sure it would be the holy grail of Jazz. Enjoy a minute and a half of greatness, and then go out and buy this album if you don’t have it!